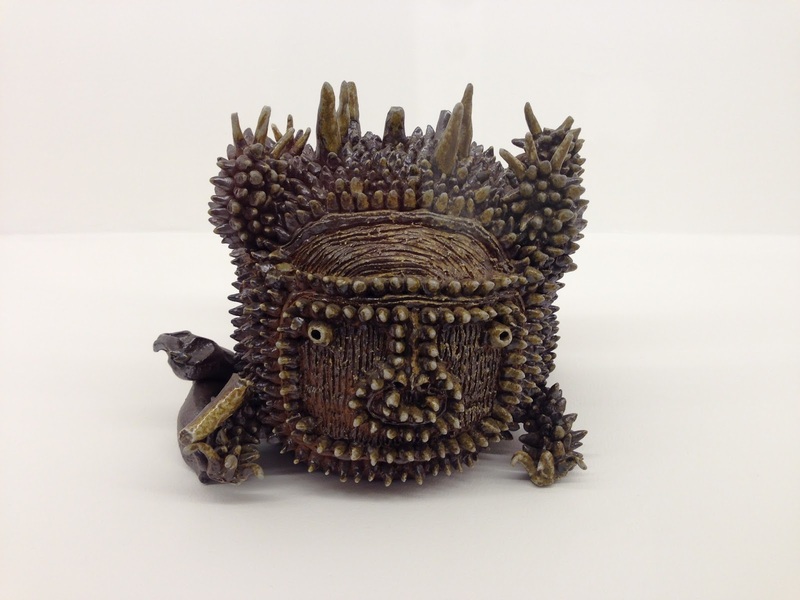 Has the time finally come to erase the term outsider art? Its all-encompassing – and negatively perceived – character divides many people. I have personally been edging ever closer to this idea over the past few years. However, in perhaps a somewhat hesitant, cautious U-turn, I have been coming round to the idea of using the term outsider art more freely – in a ‘reclaiming’ kind of way. Rather similar to the way the term ‘disability arts’ has been reclaimed. If we are able to reclaim and redefine the term, it could be a powerful vessel through which we can promote work by artists outside of the mainstream. It could be the basis of a community which includes people from all over the world, from a huge number of different cultures and backgrounds. For artists who work predominantly alone, or artists who are not linked to a wider art community or network, it could provide a lifeline, a point of identification, confirmation. The idea of ‘reclaiming’ a term is something that is becoming increasingly common in all parts of the world and is strongly linked to the idea of identity. Paula M. L. Moya in ‘Reclaiming Identity’ undertook the task of reclaiming identities because they are “evaluatable theoretical claims that have epistemic consequences. Who we understand ourselves to be will have consequences for how we experience and understand the world.” After all, words aren’t bad, or derogatory; it is the meaning we imbue them with that makes them so. Are we able to change the negative meaning of words; flip them on their head and imbue them with positivity? So, if we relate this to outsider art, we can see that many camps are actively trying to discourage use of the term – the Absolutists. But, Hendricks and Oliver in ‘Language and Liberation’ assert that we can use the term in our favour. We are able to “detach the semantic content of the term from its pragmatic role of derogation, and it is desirable because doing so would take a weapon away from those who would wield it and would empower those who had formerly been victims.” So, if we follow their theory, we could take the power away from those who currently hold it – perhaps this is the dealers, curators; high end art world people, and give it back to the artists. It could become a unifying term so that artists working outside of the mainstream with little to no contact with other artists or art networks can feel a part of something, a sense of belonging and validation, and perhaps even a sense of affirmation that they are, in fact, artists. I would really like to hear what you think about the idea of the reclamation or eradication of the term outsider art in the comments below. Obviously, there is far more reading to be done into ‘identity’ and reclamation, but hopefully this is a starting point. Hi Ana, great to hear from you! I think this is the feeling of a lot of people who feel some kind of unification with the term and others who might fall under it. It is a step towards recognition for thousands of people creating art outside of the ‘traditional’ path, and I think this is one of the many positives that would come from reclaiming the term! Before I comment: I’m an artist, mostly self taught – I have health issues (mental and physical) which make my life as an artist challenging, but I do not count myself a real outsider as I have an MA in the Scoiology of Culture and an OCA cert. in History of Western Art, and when I can I visit exhibitions and museums. So in an artistic sense I am not truly ‘outside’ anything. I have access and my work is sold through a Gallery. That said I live very much on the outside of mainstream society because I don’t like it much! I don’t share many mainstream values and I live in a remote location, we have no TV and rarely socialise as .neither of us like noise and crowds. From the outside I may look like an Outsider, but my work draws on that which has gone before. That said I am happiest when I am making art solely for myself, not caring whether anyone sees it or not. My first thought is which Outsiders are we talking about? My understanding is that most Outsider artists aren’t even particularly interested in the art world. They make their art for themselves, because they must, because it serves a purpose for them. Few have the desire to be recognised, or feel part of something. Of course I cannot speak for this enormous range of individuals, but I can’t help wondering if the need to belong is a projection onto the group. Do ‘they’ feel they need to belong? Want to? How much do they care about other pepole seeing what they make? Do they even have gallery aspirations? Should they have aspirations? Who says? There are of course those Outsider artists who self label (and here the term Outsider seems to mean a style of art that is self consciously ‘Raw’, in the same way an art school graduate might decide to work in a naive style), but many of these are already represented by galleries, and/or have the knowledge and ability to get their work into galleries. They may percieve themselves as Outsiders but are they really Outside anything? No doubt some are, but many are definitely not. Not having gone to art school is not in itself a qualification for Outsider status, surely? And for them the term will surely have a different meaning to the first group? Then there are those who are perhaps somewhere between these two groups – ‘genuine’ (so to speak) Outsiders, but Outsiders who really do want to be on the Inside, who make art and would like it to be seen: for this last group I imagine reclaiming the term might be a positive move, though to be honest I have never come across any negative use of the term personally. Which leads me to: exactly how negatively are Outsider Artists percieved? And by whom? Is the problem actually that people who are on the Outside but want to be Inside find the term highlights for them how excluded they feel? in other words, are the negative associations actually coming from within people themselves, but are being projected onto the mainstream and/or the art world? If so, then reclamation dosn’t sound like a positive step. I expect, however, it’s a bit of both, but even so I think it better just to call each other artists, and deal with the personal issues (and goodness knows we all have them!). Finally another thought: all artists are always on the outside, in one way or another, whether we consider ourselves Outsiders or not. I think it’s very difficult to successfully abolish a word or phrase and it’s meaning. It feels a little like repressing something in the vain hope that if it is ignored long enough it will disapear. In my experience this very rarely happens. 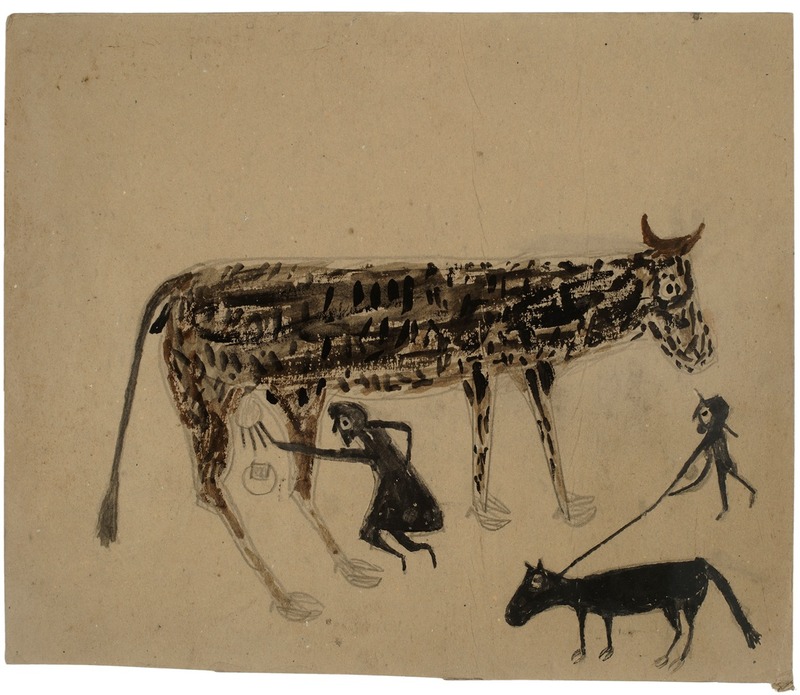 I am not a great fan of labels or boxes, but the term ‘outsider art’, does set in motion a whole process of questioning why things are the way they are and how did it get to be so. This has a wide range of social implications that touches on many areas of human life. I like the idea of reclaiming something. It gives the chance to move past binary thinking and search for new possibilities in what is already there. It is not denying something and recognises it’s problems as well as it’s potential. If done conciously, I think this could be a very useful and liberating ongoing process for the individual and the wider society. I came across the term ‘art insubordinaire’, recently. I have to say this appealed to me greatly. So with that in mind, I say, ‘Vive la art insubordinaire’!!!! Hi Anthony – many thanks for your comment! Yes, I think you’re absolutely right, it would be very difficult to complete be rid of a word and all of its inferred meanings. I also think it is really useful to have discussions like this, as people are then actually thinking about the term and how they use it, which is always a step forward! I like the term Outsider Art. To me it is opposed by the idea of Insider Art. And, after nearly 50 years as an artist it seems to me that there are a lot more outside than inside. Yet trying to be on the inside is so stressful and expensive and even impossible at times that being outside of popular culture’s perceptions is just plain relaxing. In the end it is really the word art that matters most. Do it for the love of it, or the pain of it, or because your identity needs it, but do it. Thanks so much for your comment Laura, I absolutely agree. Art doesn’t need to be made for other people, it just needs to be made for yourself – however you do it, wherever you do it, and even if no one ever sees it.